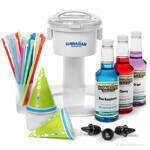 A shaved ice machine can produce delicious and colorful snow cones that are frosty, delicious and popular year-round treats. 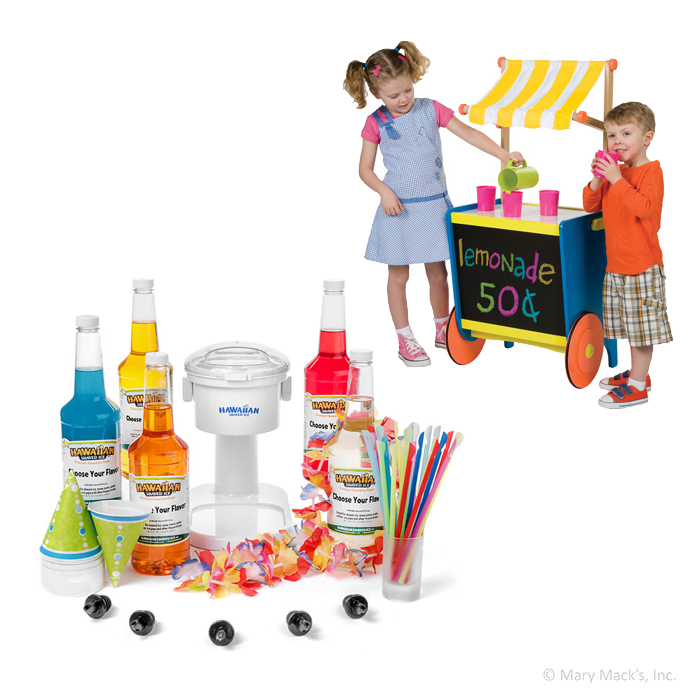 In this special roadside set, we include our Ultimate Shaved Ice package and our Shaved Ice Stand for kids, which can be used inside or outside. 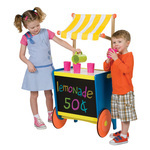 Whether they're making snow cones for friends and family or experimenting with their first startup business, children will have lots of fun with the colorful cart and snow cones. 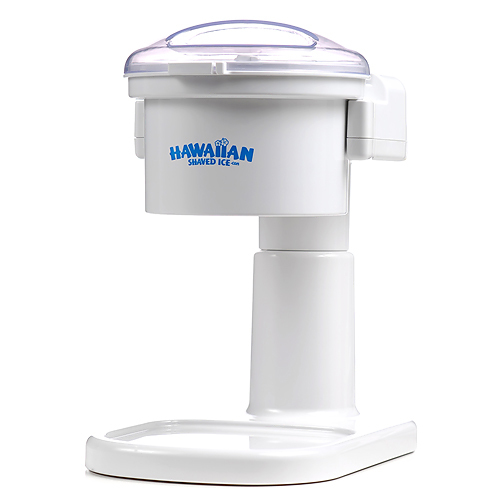 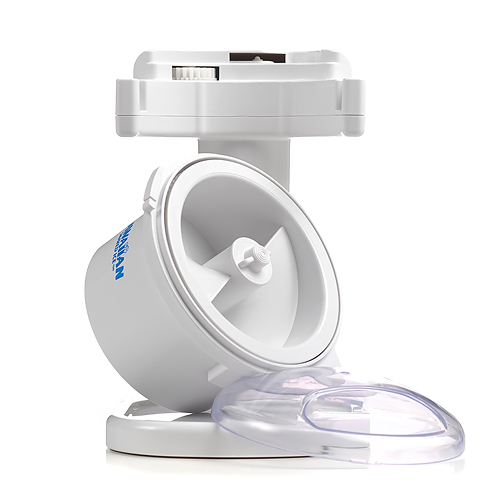 Our snow cone machines are safe for them to use, and in addition to our Hawaiian ice machine, we include everything they'll need to make their own delicious snow cones. 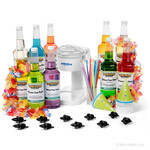 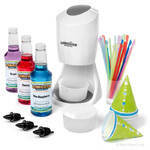 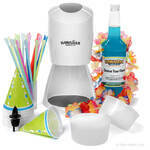 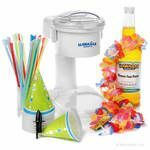 Included in the package are: 1 shaved ice stand, 1 kid-safe S700 snow cone machine (electrical, 120-volt), 5 quart bottles of Hawaiian Shaved Ice premium syrup (in your choice of flavors), 5 bottle-pourers, 25 snow cone cups, 25 spoon straws and 1 artificial Hawaiian flower lei. 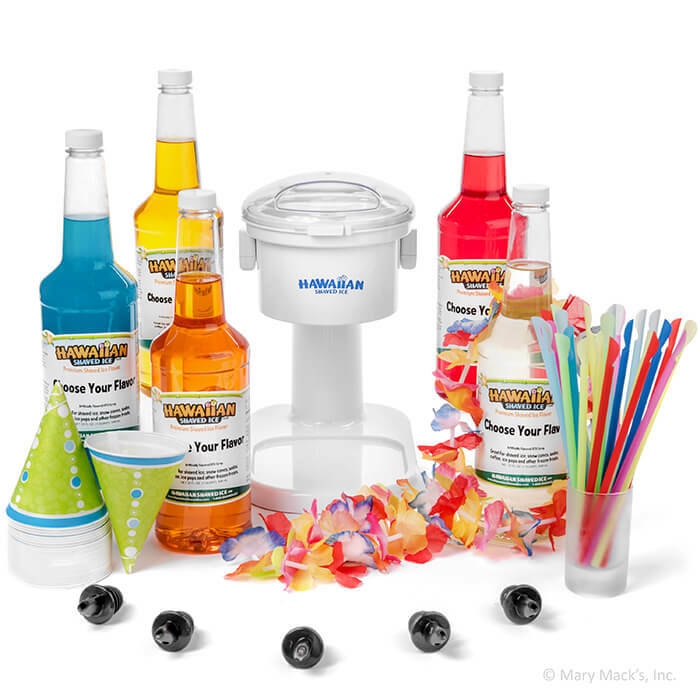 Our snow cone syrup comes in over 90 festive flavors such as blue cotton candy, chocolate covered cherry, tutti fruiti, watermelon and wild strawberry.